First five minutes of the first release on our new in-house label 'OTO roku'. This was recorded in January 2010 as part of Peter's first residency at Cafe OTO. The LP is the first of two sets performed on the final night of the residency with John Edwards on Double Bass and Steve Noble on Drums. This was also the first time these three musicians had performed together. The vinyl edition comes with two colour artwork by Peter Brötzmann silkscreened on a special 'duke parchment' acid-free archival card stock. The LP itself is housed in a two colour OTO-roku 'stock' 300gsm inner sleeve. Recorded at Cafe OTO by Shane Browne, and Mastered by Andres [LUPO] Lupich at Dubplates & Mastering, Berlin. Record pressed on 180g virgin vinyl at Record Industry, The Netherlands. 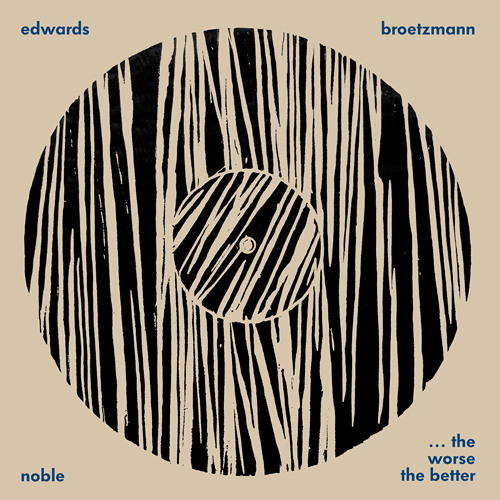 Pre-order here: http://otoroku.cafeoto.co.uk/products/peter-brotzmann-john-edwards-steve-noble-the-worse-the-better ABOUT OTOROKU: OTO = sound/noise ROKU = 'to record' OTOROKU is our archival project for Cafe OTO. Documenting and sharing what happens here as online video/audio, deluxe vinyl editions and more. OTOROKU is part of OTOProjects - a not-for-profit Community Interest Company (CIC) that has been set up to manage the programme at Café Oto. Any profits from OTOROKU are put back into supporting what we do and will help us to continue programming the best musicians and performers from all over the world. Awesome stuff, great to finally here Brotz with John Edwards, king of the bass!! !